It’s much easier to make assumptions that the winning streak in sports betting comes from accurate prediction of sporting events. While this is reasonably true, you will realize that not having the correct prediction isn’t the only way to achieve profitability. However good your predictions might be, it’s not always possible to have the right outcome. Sporting events come with different variables and not even the best gamblers can be right. Although you should strive at being right all the time, it’s more important to find value in your sports betting. Hit rate refers to the number of bets you are able to win in reference to the bets you place, and is mostly expressed as a percentage. For instance, if you place 100 bets and end up winning 60 of them, then it means that your hit rate is 60%. If you place wagers every time and end up a winner then your hit rate will always be 100%. Hitting a hundred percent isn’t realistic enough and you need to be as accurate as possible when predicting outcomes. You also need to understand that high hit rate does not necessarily have a bearing to profitability in the long run. Hit rates are just reflections of the wagers you win in relation to those you place. It won’t matter the number of predictions you get right since it has no bearing to your success. What really matters is the quality of your prediction. It all comes down to the value of play as this determines the game’s quality. The basics of probability are really easy. Probability only measures the likelihood of an event occurring and is represented in decimals of between 0 and 1. 0 and 1 represents impossibility and certainty respectively. The probability can also be represented as a percentage, which is between 0 to 100%. At times probability can have two outcomes. For instance, when tossing a coil you can only have two outcomes that are likely to happen. You will have a 50 percent chance of either the head or tail appearing. In sports betting, probability isn’t all that straightforward. It is complex to calculate the probability of any sporting, outcome to happen given the different factors involved. You might take the statistics and factors influencing the outcome of the result, but you cannot point out an accurate probability. The only thing you can do is make a calculated chance on the outcome of a particular event. This is the main function of bookmakers. While the odds are reflective of possible outcomes, they still are not accurate probabilities. In fact, they are an assessment on what bookmakers think might happen and is adjusted to provide for a built-in margin. Given that bookmakers place odds in their favour, it’s difficult to surpass their advantage. This cannot easily be done, but it’s still possible. What you need to do is understand your sport, expected value and implied probability. When it comes to expected value, it’s more about how much you can expect from a win. It’s basically a measure of the overall probability of winning. Take the odds of 2.50 given to a team like Manchester United for instance. In such a case, if you placed a 10 pound wager with an odd of 2.5 then you should be expecting a return of 25pounds. Value bets simply means capitalizing on bookmakers mistake. They are usually wagers with greater odds than normal. Some of the wagers loose while another comes out winning. However, the important aspect bookmakers consider is boosting their account. 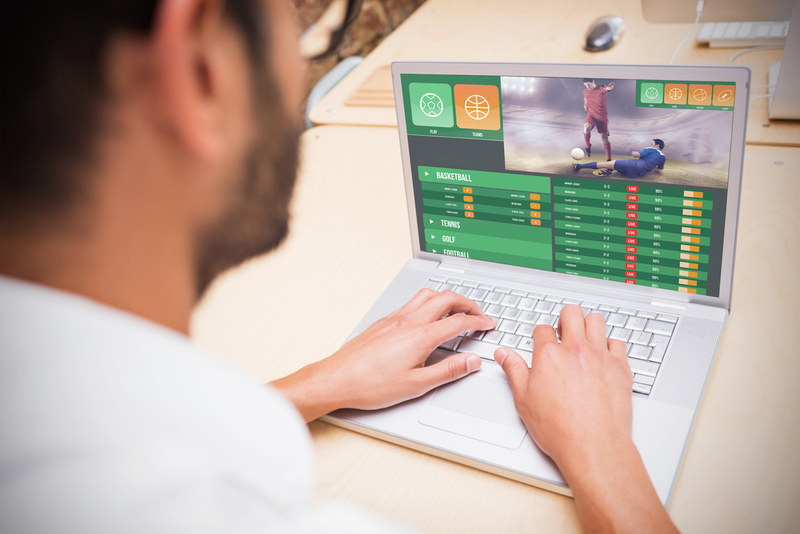 Before delving to calculate bet value, it’s important to understand the concept of value bets in sports betting. To do this, you can use these simple formulae, value = (odds *probability %) / 100. A value odd will always get you a value which is greater than 1. This means that average payout for the pounds you stake should be more than 1pound. In order to critically evaluate value bets, you need to have an in-depth understanding of the sports you are betting on. Understand that sporting events are unlike casino games where slots come with payout percentages. In sports betting, referee decision, crowd support and weather conditions play a huge role in outcomes of different events. There are different knowledge bases for you to learn about sporting events. A number of bettors rely on the analysis of past events in order to determine the upcoming ones. You can find a number of online directories to give you comprehensive rating system. These systems come with large statistics and databases which are used to measure the team’s superiority. Some people choose not to look at the statistics, but focus entirely on their extensive research. The other way of accessing value bets is checking though other people’s advisory services. It shouldn’t be hard to find paid or free services online that will give you valuable odds and wagers. You need to remember that equal odds sometimes having different values and you shouldn’t blindly follow your favourites. It usually won’t matter the kind of method used to gain the knowledge on sporting events, as long as you are comfortable with it. You should consider having an account with multiple betting sites, if you are seriously looking to get into the gambling industry. This way you might end up turning higher odds to a gold mine.